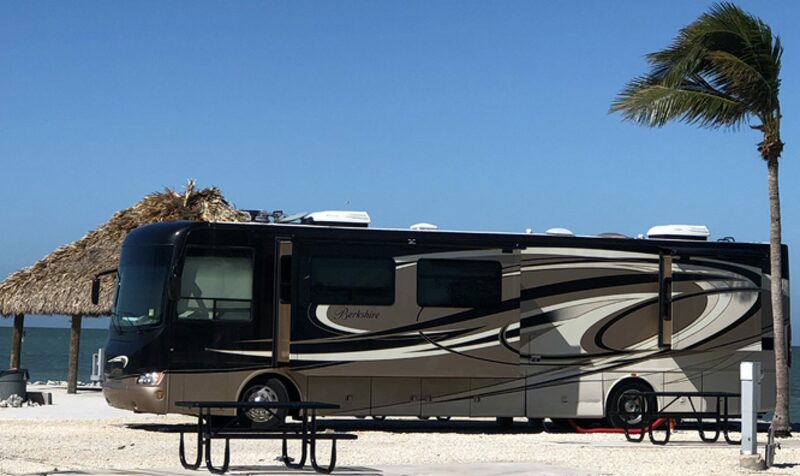 One of the challenges to a Camper, when they are planning a trip, is to find a nice place that has really good Campground facilities and high user ratings. Then you add the need for a good price to camp,whether its at only one campground or a group of affiliated campgrounds. For your convenience, below are some of the most used are some of my favorite sites for selecting my campgrounds and campsites while traveling. Reserve America is a fantastic tool for reserving excellent Campsites, specifically Federal and State parks and campgrounds, all around the country. You simply join their club and as a member, you can search for sites that meet your needs. Regardless of whether you just need a tent site for a couple of days, or if you want a large open site for your Big Rig with full facilities, you will love using this site. If you like to use Federal and State Parks or other government sites to camp, this link will get you to a valuable site for finding the right place at the right price, and aids for planning your trip. “Recreation.gov is your one-stop shop for trip planning, information sharing and reservations brought to you by 12 federal participating partners. Seven of these partner agencies including the Army Corps of Engineers, Forest Service, National Park Service, Bureau of Land Management, Bureau of Reclamation, Fish and Wildlife Service, and the National Archives, offer advance reservations at 2,500 federal areas for over 60,000 facilities and activities. This is a site that lists many campgrounds on or near military sites available specifically for military personnel, on active duty or retired. It is maintained by an individual who supports the site with sales of the software. I have not used this site myself, but I also have not heard of any complaints about the site. Be aware that many campgrounds around the country and especially near military bases will provide sites to veterans at a discounted rate, you just have to ask. They will ask to see your Military ID card or a copy of your DD-214. KOA is a corporation that has almost 500 affiliated campgrounds around the US. They are all held to the corporate standards and have a 5-star user rating system of each campground. A membership gives the user a 10% discount on their normal non-member pricing. Passport America has over 1900 affiliated campgrounds that will provide a member 50% off of their regular daily pricing. Be aware that this discount is often just for 2-3 days, but some campgrounds can be talked into extending the discount if it is not a busy part of the season. Each campground is different and be sure to read the past user ratings of a site you are considering. This membership is a favorite for people who take trips that require them to stay overnight while traveling.